Wepresent is a professional wireless presentation system that allows up to 64 users to collaborate and offer a wireless interactive presentation from your windows/mac, smartphone and tablet (ios/android), allowing users to project up to 4 devices on the screen at the same time. No more searching for wires, tripping over them or calling your it department, wepresent is a simple-to-use wireless presentation collaboration solution. The wipg-1000p model is affordable and has many functions, ideal for classrooms, meeting rooms and small rooms. It incorporates the functionality of webslides (sending slides to connected devices), mode moderator, airplay, compatible with hid and touch screens, web management and can be integrated into the existing network (it also acts as a wireless access point allowing access to the internet ) or work directly with a direct connection to the device. Do you need an easier way to connect your devices to any wepresent? The presentsense accessory is the solution. Presentsense is a bluetooth accessory for your wepresent hardware that automatically transmits the necessary settings to connect to the unit closest to you. 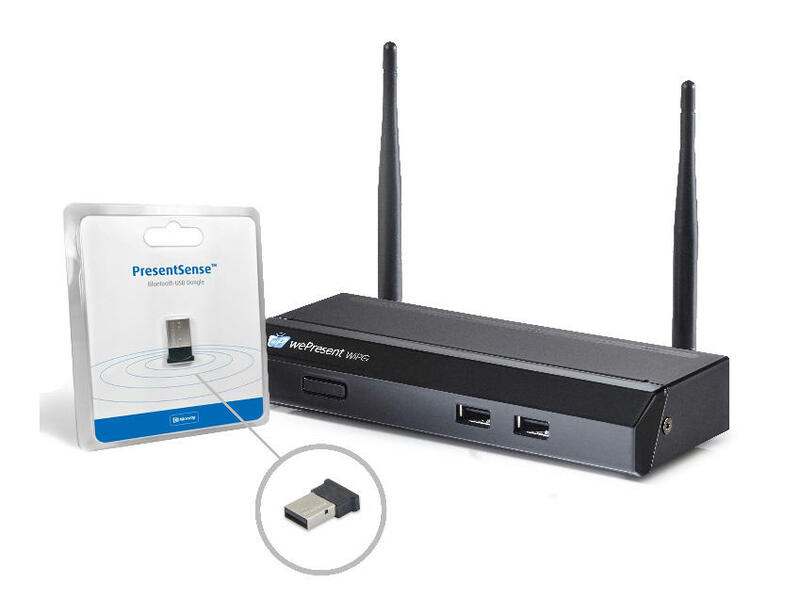 Using the bluetooth of your computer, smartphone and tablet, presentsense facilitates access to the professional wireless presentation system and allows you to connect, which takes advantage of the solid collaboration features of wepresent more quickly and easily.